Celebrate this Earth Day by cleaning up the Albany Waterfront, plus enjoy refreshments with fun activities for kids on April 20, 2019. Free, but an RSVP online is required. Enjoy the beautiful shoreline while joining community volunteers to clean the Albany Bulb shoreline. 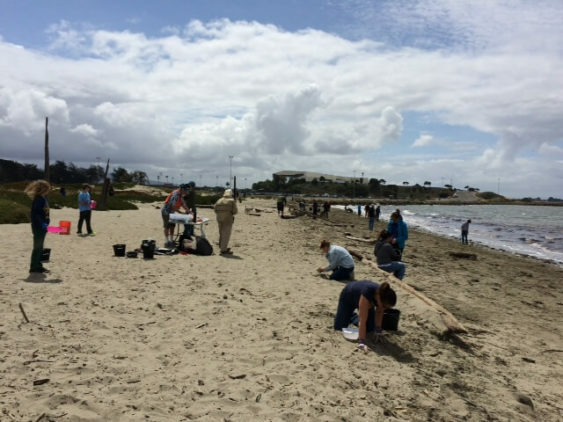 Learn about local efforts to protect the SF Bay watersheds and wildlife by reducing plastic in the ocean, and creating resilient and living shorelines. Everyone is welcome. There will have a prize for the most unusual item found during the cleanup. Gloves and buckets provided, but please bring your own if possible. Wear sturdy shoes, a hat and sunscreen, and bring your own reusable water bottle if you have one. This event is sponsored by the City of Albany, in cooperation with the East Bay Regional Parks District. Children must be accompanied by an adult. Minors under 18 require waiver signed by parent or legal guardian. Print your waiver at home, or sign at the event.